This post is long overdue. I had promised some folks that I'd publish it last week, but here I am, late as usual. 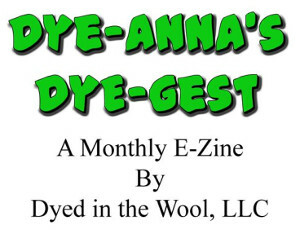 April's Online Guild workshop was a Bowmont Fleece Challenge. That's when I first started spinning my 50 gram sample, and at last I am happy to announce that it is almost done. If you read my first Bowmont post about breed history and characteristics, then you may recall that it was developed from Shetland and Merino stock. As I've been spinning away, I've been contemplating that and wondering how my sample compared to the fleeces of these two breeds, especially since I have never worked with either of them raw. Through Internet friends, I was able to obtain some samples. The Bowmont from Lesley Prior is in the middle. On the left, is clean Shetland from RareFindFarm Shetlands. On the right, is unwashed Merino from Sheepshepherdess. Most spinners are familiar with the lovely fineness of Merino. The diameter of it's individual fibers commonly measure less than 24.5 microns; 12.5 to 16.9 from ultrafine wool. (In comparison, human hair measures 60 to 100 microns.) Shetland usually measures 20 to 25 microns in diameter. Bowmont is between 15 to 20, with Lesley's fleeces below 18. The 75% Merino / 25% Shetland genetic background of the Bowmont breed, have resulted in a lusciously soft fiber from a breed with a good dose of Shetland hardiness. Unfortunately, Bowmont sheep are only to be found in the UK. If you are interested in purchasing some fleece to try yourself, you can contact Lesley via her website, where she also has her Mohair and Cashmere fibers for sale. Next - my two Bowmont yarns. Your locks remind me of a couple of Shetland lamb fleeces I have. I want to wash them this Summer and comb them to spin into hopefully cobweb yarn. I've got buttons now! Love those locks. I find Shetland to be drapey as yarn and not all that great as a knitted sweater. Does the Bowmont have more loft and crimp memory? Like I need another fleece - sheesh. As for pricing the hats, I know I can't get what they're worth but I need to move them on so sell them for $30 or $40 at the store to cover the commission. That seems to be what the market will bear. I see a Bowmont fleece is next on my list. I love the lock comparision.